Five Pawns have built a strong fanbase thanks to its top quality e-juices. The gourmet selection and the fact that the company’s name refers to the main traditional tastes of the culinary world, shows that Five Pawns has a strong commitment to deliver a unforgettable taste experience for its customers. 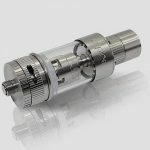 While the price for Five Pawns e-juices is considerably higher than what you can expect to pay for other brands, the investment is worth making considering that the flavors are highly sophisticated. We’ll take a closer look at the flavors that you can enjoy with Five Pawns. The signature series focuses on flavor traditions and each e-juice has been carefully handcrafted, focusing on one of the five main elements of flavor. Gambit: The comforting taste of warm apple pie can be enjoyed with this delicious homage to the classic desert. Gambit allows you to enjoy the sweetness of apples along with a subtle tint of freshly baked crust. You can also taste the delicious French Vanilla ice cream, caramel and whipped cream. Absolut Pin: This rich blend brings together spice cinnamon and smooth Irish Cream, as well as caramel flavors. It also has an added hit of Absinthe taste. While Absolute Pin doesn’t contain actual absinthe, it provides the essence and incomparable fragrance of this legendary liquor. Bowden’s Mate: This elegant flavor brings you the distinct sensation of a gourmet after dinner mint. It combines intense chocolate flavor and sharp mint flavor, as well as a hit of French Vanilla, for a unique experience. Grandmaster: Grandmaster lets you enjoy a delicious combination of smooth peanut butter and sweet banana. It also offers a hint of caramel flavor, adding richness to the taste. Queenside: The main star in Queenside is the blood orange flavor and it also lets you enjoy added citrus essences and a hint of French vanilla. It is a creamy, delicious flavor that will remind you of the classic creamsicle confections. 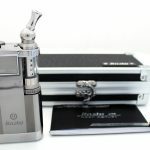 Apart from the five main e-juices that represent the traditional elements of flavor, Five Pawns offer additional options through its Mixology Edition. The flavors are inspired on the most recognized spirits in the world. Lucena: Lucena is a new take on spiced rum, with an addition of hazelnut and white peach to offer a unique experience. You will enjoy a fantastic experience with the rich effect of homemade peach cobbler. Sixty-Four: The mojito is one of the most popular cocktails in the world and the Sixty-Four blend allows you to enjoy a wonderful new way to enjoy it. With Grapefruit liquor, lemon zest, muddled mint, cucumber and a little bit of dill to bring out a fascinating flavor. Castle Long: Castle Long is based on Kentucky Bourbon and it offers the oaky flavor, with hints of roasted almond, toasted coconut, caramelized brown sugar and Madagascar vainilla bean. There is a limited edition version that is aged in steel barrels and it is offered in certain ocassions. Fifth Rank: This flavor features a unique version of the Lime Rickey, a popular cocktail created in Brooklyn. It adds sweet champagne to the lime, as well as cream, vanilla bean and roasted almond. Perpetual Check: This is a remarkable combination of cinnamon, sweet fig, barley and lemon zest that adds a great touch to the main black currant. 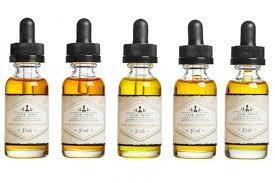 Five Pawns juices are created in small batches, using only the finest ingredients. Each bottle has an individual ID number and you can also see the manufacturing date and lot number stamped. The flavoring essences are natural and they have been locally sourced. The flavors are a 50/50 combination of Propylene Glycol and Vegetable Glycerin. Five Pawns e-juices are available in one size: 30ml, which gives you enough to appreciate the subtle aroma of the flavor you prefer. The Signature Series and the Mixology Series are available for a price around $28 USD. The Special edition blend, Black Flag Fallen costs $30 and the limited, Castle Long Reserve is about $37 when it becomes available. There are also sampler packs that allow you to taste all the flavors in the Signature Series and Mixology Edition. Both of the eJuice samplers come with all 5 flavors (4ml bottles) and they cost $23.50. Five Pawns is known for its premium blends and while the selection of flavors is limited when compared to what other vendors offer, the focus here is on quality, rather than quantity. The price may be higher, but if you are looking for an exquisite vaping experience, Five Pawns is an option that you definitely need to try.